How Do I Claim and Sell MicroBitcoin (MBC)? There likely exist several other methods, however they are more risky we cannot recommend you take risks with your private keys without understanding the specifics of your situation. This includes exposing your keys to the official wallets released by the project which are almost certainly not up to the standards of quality of the best in the Bitcoin (BTC) ecosystem and the other best-of-breed security-focused software. Claiming MicroBitcoin (MBC) coins requires some work, and there's no one solution as it depends on how you are currently holding on to your BTC and what hardware/software you have access to. To help pick the right path we've broken the process down in to a number of possible methods. If you have been storing your BTC on a wallet, for example a hardware wallet, and have been doing so through the fork point, it is possible that your wallet may have added the feature which allows you to move the coins. If you are comfortable using your existing wallet, we can recommend this. However, we do not recommend migrating your private keys to a different wallet for this purpose. *We do not provide any advice on claiming via your existing wallet. 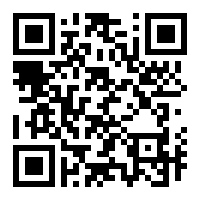 It is up to you to follow the directions from your wallet's vendor for moving MicroBitcoin (MBC). We do not recommend this method and encourage you to find a Linux-based solution, however this is better than many alternatives. MicroBitcoin (MBC) provides a wallet that can be located via their project page. Please read over the following section which cover some of the nuances of moving MicroBitcoin (MBC) using the different address types. At present, it is unknown as to whether the MicroBitcoin (MBC) blockchain is able to redeem value credited to bech32 addresses. If you are aware of a reliable method, please let us know so we can update this guide. A likely viable solution is to use the official MicroBitcoin (MBC) software from the project, however that requires trusting the development team and release process of the project. This is something that we cannot make a blanket recommendation for, so please proceed with caution. If you want to part with your MicroBitcoin (MBC) then we offer some options for how to trade it along with some considerations for privacy. 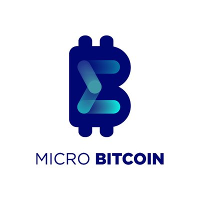 On the page for MicroBitcoin (MBC) we track exchanges that allow depositing and trading of the coin and provide attributes for comparison in our directory. Right now, we are aware of 5 exchanges that take deposit and trade MicroBitcoin (MBC). The exchanges for MicroBitcoin (MBC) are listed at our page for MicroBitcoin (MBC). At the moment, we are aware of 2 that do not require KYC documentation and verification. It's an honor to be able to build a useful set of tools for this space which help inform and allow individuals to unlock and control the value they own. We wrote this post on Why Should I Donate Fork/Airdrop, BTC or other tokens to Forkdrop.io? to fully explain our stance.